Exchange Rate – The Mexican Peso has been quite weak this year vs. the US Dollar. This means that timeshare members and guests vacationing can take their vacation dollars and make them stretch. While it was historically easy to add up the exchange rate in your head, as we enjoyed a rate of 10 pesos to 1 USD for about 6 years, this has all changed. Today, exchange rates are closer to 19 to 1 meaning 190 pesos equal around 10 US Dollars. That makes drinks, snacks; activities from Mexican tour groups are a lot more attractive. Infrastructure – Across Mexico infrastructure has been a major focal point, improving highways, bridges, and airports in the major tourist destinations. Here in Los Cabos, we have a new highway from the International airport, dozens of new overpasses, and getting around the town is really quite easy. The hassle of getting to and from the hotspots has been removed! New flights – People want to come to Mexico! It’s pretty nice here…. There are new flights from almost all major carries heading top Mexican airports. In Cabo we have seen Delta, United, American and Canadian carrier WestJet have all added new routes in 2017. Making it easy to find flights into SJD. Your Grand Solmar Timeshare just got better than ever! The vacation club has been updated and 2 brand new resorts open December 23rd 2017 for members to enjoy! The reasons to vacation in Cabo are pretty simple, it’s pretty awesome, but most members of Grand Solmar already know that which is why they became vacation club members in the first place! 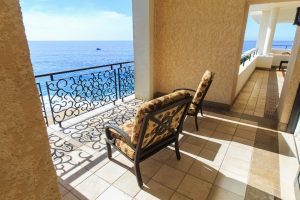 Grand Solmar has taken their timeshare memberships to a whole new level and created something that really is not your granddad’s timeshare. By joining the elite membership program members have access to the most luxurious and flexible membership available in the world today and one that will keep you vacationing in Cabo for years to come!